The much anticipated Laguna skin and pack are now available in Fortnite’s Store. 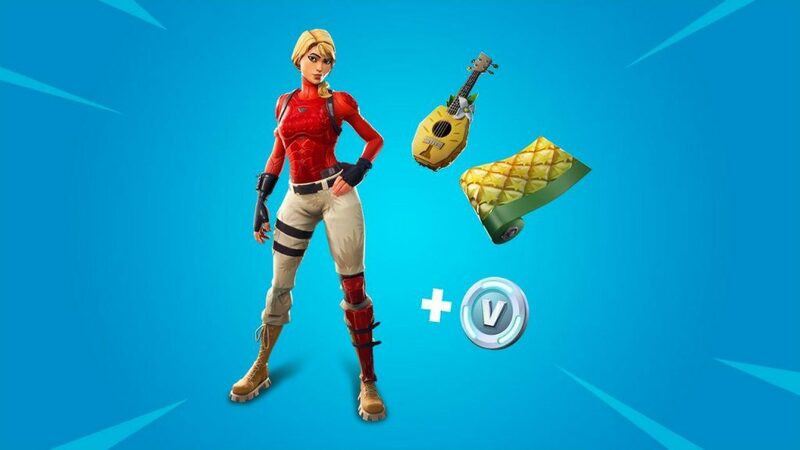 It comes with the Pineapple Strummer Back Bling, Pineapple Wrap, and 600 V-Bucks. 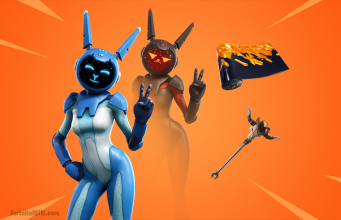 The Laguna Pack has finally arrived in Fortnite’s Item shop with its exclusive items. The pack can be purchased from the Store, right of the V-Buck purchase section. 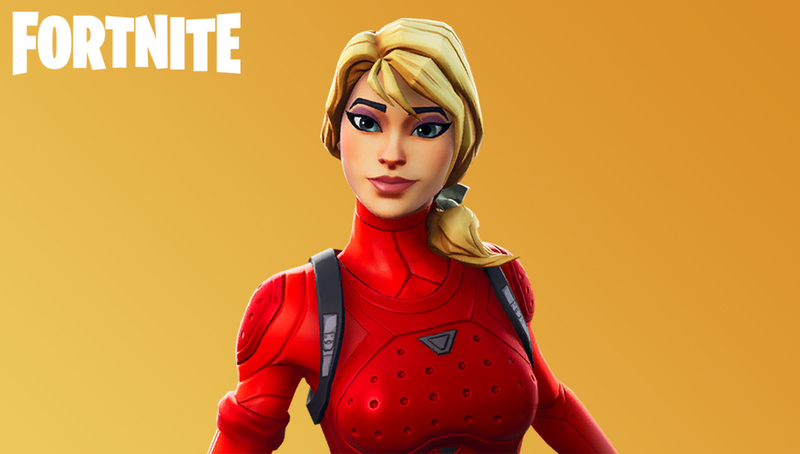 The pack appeared in Fortnite’s in-game Store on PlayStation in some countries like Finland & Australia on March 18 before becoming purchasable worldwide. 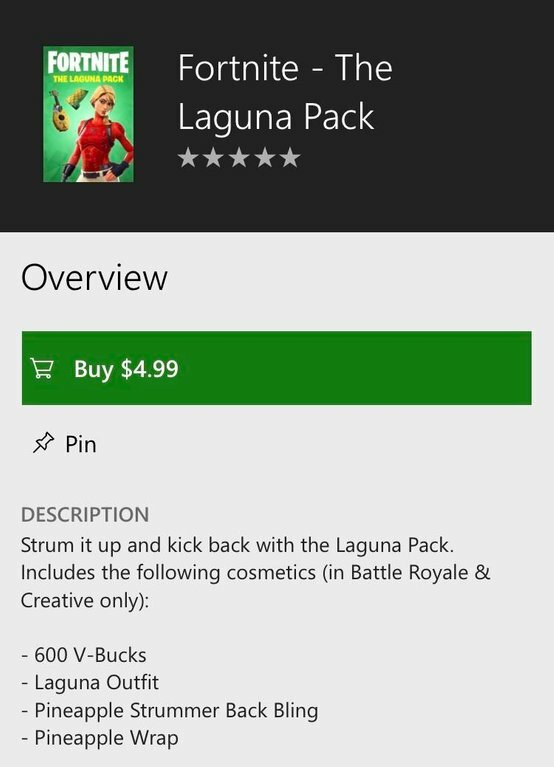 On March 19, the Laguna Pack became available in the Marketplace for Xbox users to purchase. The early release may be a mistake on the part of either Epic Games or the respective platforms ie. Playstation. No information has been released as to the cause of the early release. The pack costs $4.99 in USD as all Starter Packs have in Fortnite. The pack includes the Laguna Skin, Pineapple Wrap, and the Pineapple Strummer back blind. The most sought after item will be the new exclusive Laguna skin. It’s easily visible with its blonde hair and highlighted red top. In addition, the pack also comes with a bonus 600 V-Bucks. This essentially pays the purchase off by itself if you intend to buy more Fortnite items with V-Bucks in the future. Once the pack becomes available in your area, you have until the release of the next starter pack to purchase it. The starter packs come out every couple of months, so there’s no hurry. We definitely recommend the deal whether you are an avid Fortnite player or just getting into the game for the first time.